The Haldane phase captured by the Affleck-Kennedy-Lieb-Tasaki (AKLT) state is a symmery-protected topological (SPT) phase protected by a set of symmetries: either inversion symmetry (IS), time-reversal symmetry (TRS) or the dihedral group of π rotations about two orthogonal axes (D2 ). This symmetry-protection follows from how the state transforms in its matrix product state (MPS) form under a certain symmetry operation. We study the q-deformed AKLT (AKLTq ) state which also has a known MPS form that continuously transforms to that of an AKLT state and how this symmetry-protection is altered. We show that the AKLTq state can be adiabatically connected to the AKLT state when IS is protected. However, our approach does not conclusively lead to the similar conclusion for TRS and D2 , hence, we discuss possible explanations. G. M. Itable and F. N. Paraan. 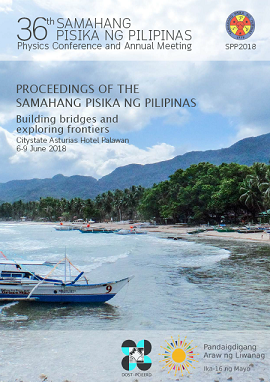 Symmetry-protection in the deformed Affleck-Kennedy-Lieb-Tasaki state, Proceedings of the Samahang Pisika ng Pilipinas 36, SPP-2018-PB-18 (2018). URL: https://paperview.spp-online.org/proceedings/article/view/SPP-2018-PB-18.